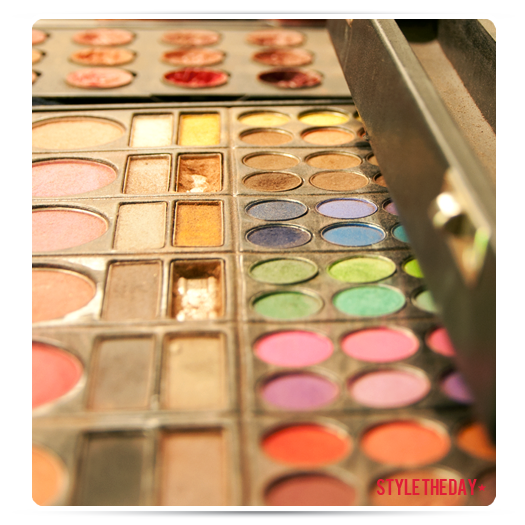 With fashion comes beauty and with beauty comes makeup! If you’re anything like me then you have lipstick in every shade of the rainbow, eye shadows galore and moisturizers falling out of your cupboard. Why the gluttonous behavior? Because it’s fun. Makeup, along with all things fashion, is a way to transform ourselves. But all that glamour isn’t always what it seems to be. There are tons of chemicals in items that you use every single day. Deodorant, moisturizer, lipsticks, powder… the list goes on. Please do yourself a favor and visit: http://www.ewg.org/skindeep/ Skin Deep will help you figure out what products are good for ya, and which are bad. A few good reads…There’s Lead in Your Lipstick and Green Beauty Guide. It took a bit of searching but green and non toxic cosmetics are available, not all that expensive and just so much better for you. Just think how many times you lick those lips! Be good to your body. Tea + Fashion = A Discount For You! Copyright © 2012 Style The Day - All images are the property of Amber Ward unless otherwise noted. Please ask for permission before reproducing content! Thanks!